Order your copy of Flavors of Life today! 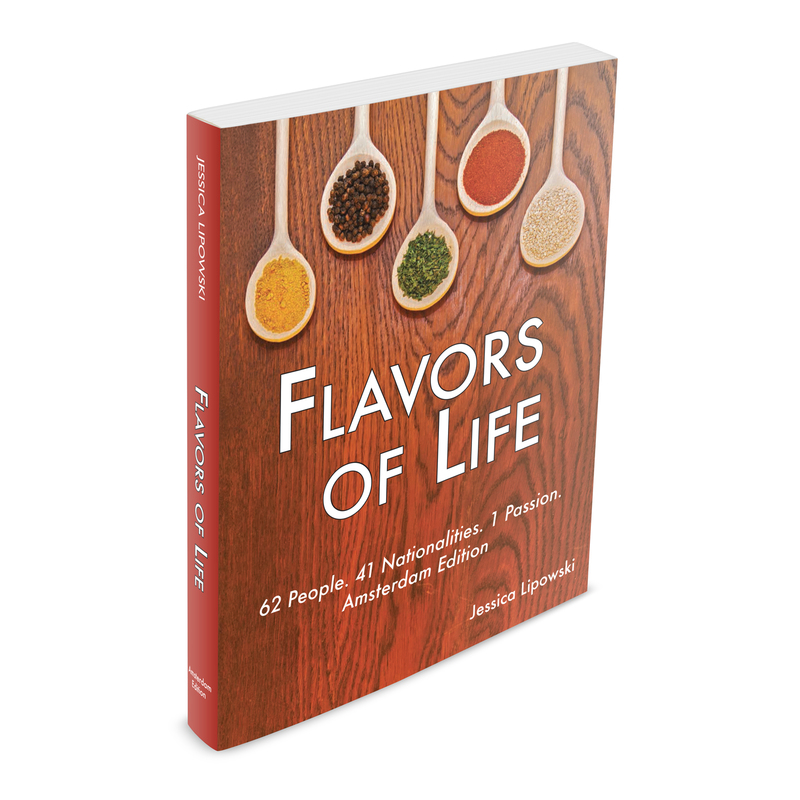 Want to order a copy of Flavors of Life? Not sure where to go? Use this handy guide! There are many options. Check out the events page, too, if you want to meet Jessica in person. Subscribe to the newsletter to stay informed. Interested in the e-book? Get your Kindle copy on Amazon. Please note the e-book does not include the images. Support the local Amsterdam community! Flavors of Life is available at the American Book Center. They have a lot of other amazing books, too, floors and floors of them. Support the local Amsterdam community! Flavors of Life is available at the Athenaeum book store. They have a lot of other amazing books, too. Boekhandel Douwes in Den Haag carries Flavors of Life. Order it online or drop by the store to see if they have it in stock. Support one of the restaurants featured in Flavors of Life! Cafe Piazza carries the book, plus the food is incredible. Agata, the owner, serves Italian cuisine, but also offers Polish dishes, as well. Support one of the restaurants featured in Flavors of Life! Himalayan Kitchen carries the book, plus the food is incredible. Surya, the owner, serves Nepalese cuisine. Kantoorboekhandel Laan in Castricum also carries Flavors of Life. Order it online or drop by the store to see if they have it in stock. Support the local Amsterdam community! Flavors of Life is available at the Local Goods Store in de Hallen. They have a ton of great products. Support one of the restaurants featured in Flavors of Life! Pannenkoekenhuis Upstairs carries the book, plus the food is incredible. Arno and Ali, the owners, are known for their Dutch pancakes. Support the West Michigan community! Flavors of Life is available at The Bookman in Grand Haven, Michigan. They have a lot of other amazing books, too, as well as newspapers and magazines. Support one of the restaurants featured in Flavors of Life! Zest carries the book, plus the food is incredible. Niko, the owner, serves typical Bulgarian cuisine and all-around great food.